Why Join the Equitas Team? 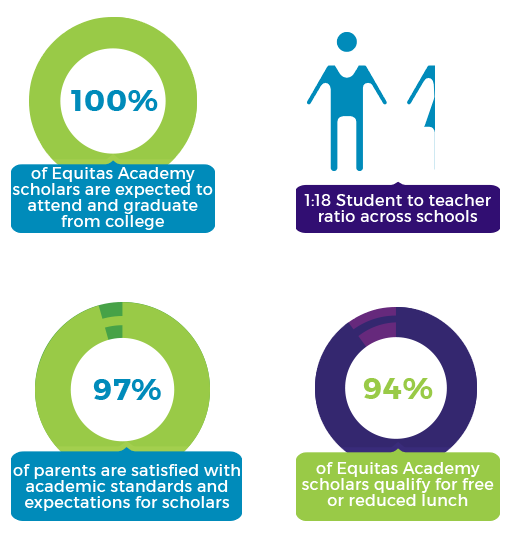 Equitas Academy provides a structured, achievement-based community that prepares students to graduate from four-year colleges and universities. Set the Record Straight: Contact your Assemblymember Today! Equitas Families! Powerful special interests want to add bureaucratic restrictions and red tape that gets between charter public school students, teachers and learning. Please click http://p2a.co/charters or copy paste to you browser to learn more about how we can help set the record straight! Los poderosos intereses especiales quieren agregar restricciones burocráticas y trámites burocráticos entre los estudiantes de las escuelas públicas autónomas, los maestros y el aprendizaje. ¡haga clic http://p2a.co/charters o copie la direction de la pagina para aprender más sobre cómo podemos ayudar a aclarar las cosas! Equitas Academy Charter Schools is committed to existing laws that protect families’ and students’ records from questions about immigration status. Families have rights and access and are entitled to legal assistance, regardless of immigration status. 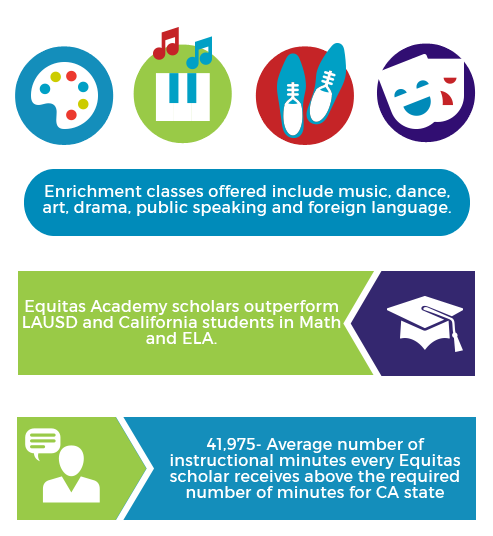 Equitas Academy featured in Capital Impact Partners Annual Report! Learn more about the impact we've had in the Pico Union community. We are so excited to announce that Equitas Academy has been named a 2016 Gold Ribbon School by the California Department of Education.